As we inch closer to Sled Island Festival in Calgary, Alberta - which rests on traditional territory of the Blackfoot and the people of the Treaty 7 region – Miranda Young (Host of the Thursday Buzz) and Jordan Stovra (Host of the Monday Buzz) sat down to have a chat about what they’re most looking forward to. They’ll be covering the whole festival as it unfolds next week. Miranda: So Jordan, are you excited to be the roving reporters this year? Jordan: I am super excited. 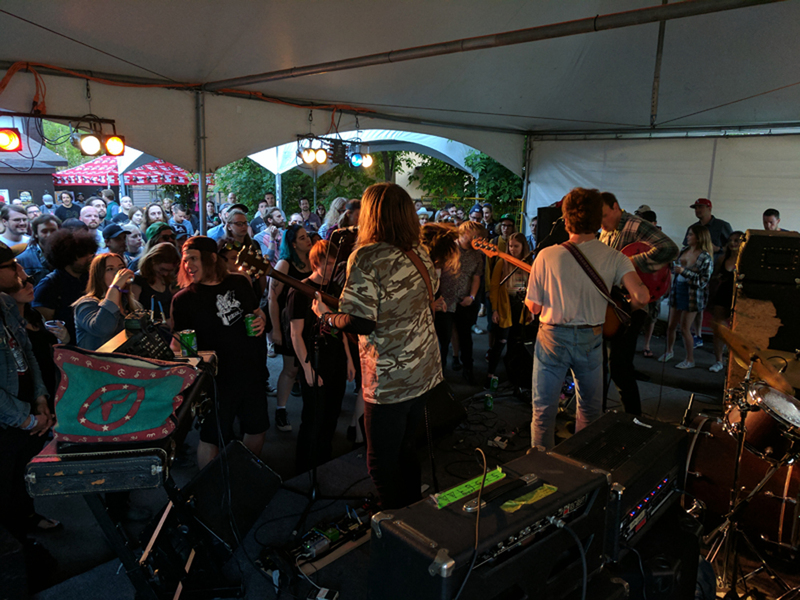 Sled is such a fun festival which always brings great artists to our region of Canada. Have you ever been to Sled, Miranda? Miranda: I haven’t! I’ve always wanted to go, though! Super excited for my first time to be with my pals at CFCR! You’ve been to Sled before, what was your experience like? Jordan: I attended last year and it was a great experience because of the ability of being able to see Canadian bands from different scenes across Western Canada. Last year I was introduced to Bands like SBDC and Jean Daddy. Those are the types of bands that I get super excited to be introduced to at Sled. Who are excited to see at Sled? Miranda: I’m most excited about Deerhoof, The Dirty Projectors, Thundercat, The Shiverettes, Faith Healer and Cherry Glazerr. I have never seen ANY of them live, so it should be a wicked time. There are so many amazing bands in the line-up for this year though. I’m thoroughly looking forward to jumping around between venues and discovering new-to-me artists as well. I’m sure there will be plenty of wonderful surprises along the way. I also am stoked about some of the softer acts like Crystal Eyes. 36? is going to be a rock and rollin’ time as well. So many things to check out! What did you think of the Sled Lineup this year? 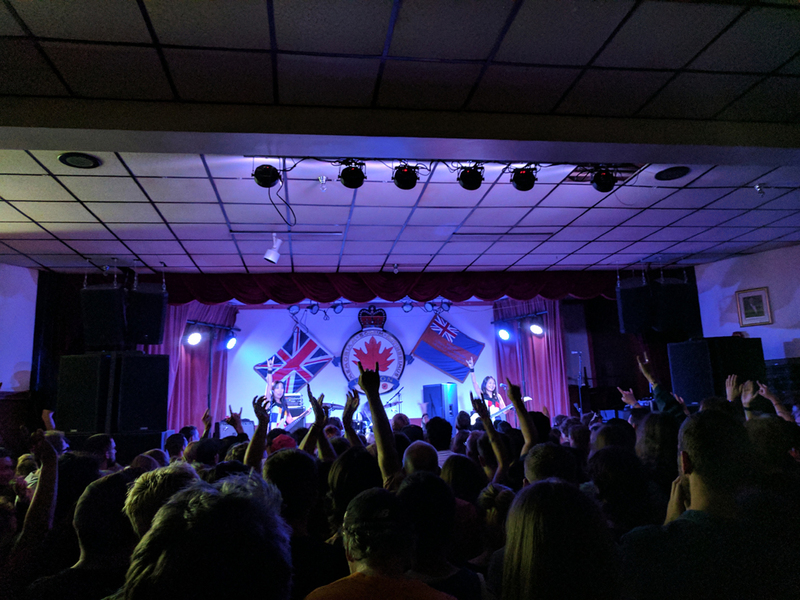 Jordan: I think they are starting off really strong with some of the competing shows on the first night (Mary Timony plays Helium at Legion #1, Thundercat at The Palace Theatre, No Warning at Dickens Pub). I think they did a great job at making it difficult to choose who you are going to see. One of the things that I love about Sled is that it is not exclusively a music festival. They have great films (including Queercore: How to Punk a Revolution and Nico 1988), and comedy (headlined by Beth Sterling of Netflix's The Standups). Is there anything non-concert related that you are excited for? Miranda: I’m revved up for the Queer Zine Fair, Sled Island Yoga and the “Sealing the Homunculus” ACAD show! There are such a variety of things to do at Sled, and I want to try them all! I’m looking to exploring Calgary through new eyes. With the large amount of concerts going on during this festival, there will inevitably be concerts that people will miss. One of the concerts that you should attend is the CFCR Showcase. That show is going to be SO GOOD. Tubby Dog as a venue just makes me so excited and of course the bands are great as well. If you haven’t been to Tubby Dog, I suggest getting yourself an “A-Bomb” and some of their signature onion rings and bringing some loose change for the pinball machines and video games. It has forever been my favorite place to visit in Calgary, and will only be more exciting with all of my CFCR and Saskatoon cohorts. Speaking of cool shows, what are some of the under the radar shows you are excited for? Jordan: While not an “under-the-radar” show due to them being a headliner, but due to their placing being on the same night as festival curator Deerhoof (at Legion #1), I’d say Slow. 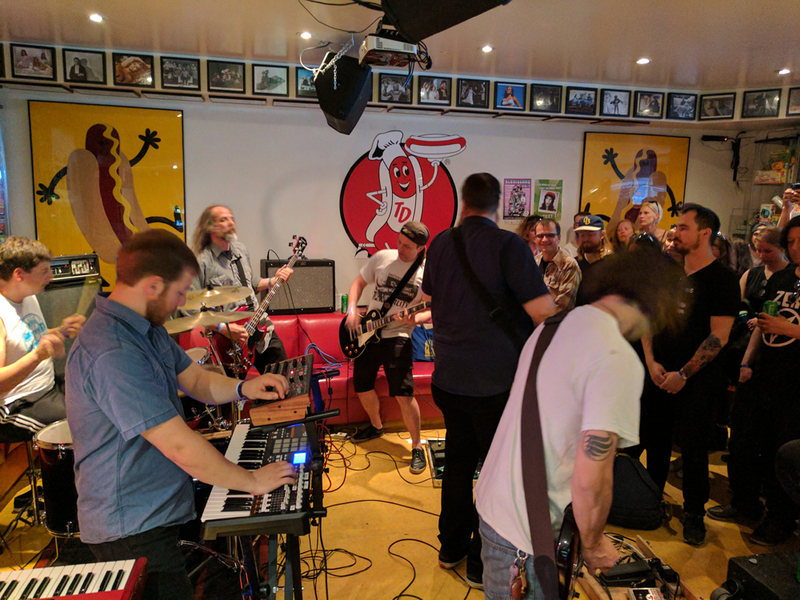 The proto-grunge band from Vancouver is playing one of their first shows out of Vancouver in 30 years on the Friday night of Sled at Dickens Pub. They are infamous for starting a riot at Expo 86 which extinguished them as a band. I think that will be an insane show. Another one, which may be better known to people who regularly attend shows locally will be B.A. Johnston who is playing Tubby Dog on the Friday night. He always has wild shows and I can’t wait to see what he does in the hot dog heaven that is Tubby Dog. You are a Calgary native, so what are some non-Sled things to do when you are residing in Calgary? Miranda: I like exploring Inglewood and 17th Ave, taking walks along the lovely river paths and having beers at Cold Garden. There is also a really cool new restaurant on 17th called Calcutta Cricket Club in which I would definitely recommend checking out. Caesars at Cleaver are a good plan too. Ice cream at Made by Marcus is a must as well. Dairy Lane is a wonderful place for a good brunch, which I’m sure will be a necessity after some of these wild nights. I realize most of these are food related, but heck, who doesn’t travel for food! Is there anyone you hope to meet at Sled? Jordan: As far as artists go, it would be cool to meet artists like Slow, Wye Oak, Guerilla Toss, Bat Fangs. Other than big headliners, I am excited to meet people like you and me who attend Sled Island. The people who are involved in the different scenes just bring different perspectives and it is interesting to share that with them. It is also a great time to bond with your fellow Saskatchewan Sledders who there will be a lot of this year. There are 10+ Saskatchewan acts attending Sled this year which will mean that there will be a strong Saskatchewan contingent at Sled. Miranda: I also love the idea of being surrounded by some of the best Saskatoon people in one place. I cannot wait to cover the Sled Island Music Festival for CFCR! It will be a BLAST! Come find us if you plan on attending this year! If you need to find me, I’ll be the one with the blue hair whipping around in the front row.